Hello. Welcome to our website. Thank you for your interest in our products. It is our goal to provide you with a product that is trouble-free, extremely effective, safe to use, all at a reasonable cost. That's how we do business, because we are customers, too. Our parent company, Reliable Product International (RPI), is a Limited Liability business of Pennsylvania. We are a family-owned and operated company, and have a proven track record of being successful retailers for over 30 years. Reliability, quality and efficiency are the three most important attributes in the design of the improved HEAT SMART? heaters. Our engineering capabilities have produced a superior infrared heater. RPI is proud to manufacture and market the best infrared heater in the market today. Through Innovation and design we make consumers lives simpler and more rewarding. Please browse our website, and should you have any questions, or please feel free to use the contact page on this site or send us an email at customerservice@trustRPI.com. Either way we want to hear from you. Our knowledgeable sales staff and customer service representatives want to make your shopping experience one of convenience, success and most of all satisfaction. Star-XL Infrared Heater $399.00Sold Out!Free Shipping! Victory Infrared Heater $399.00Sold Out!Free Shipping! Comfort Deluxe Infrared Heater $299.00$249.00Add To Cart Free Shipping! 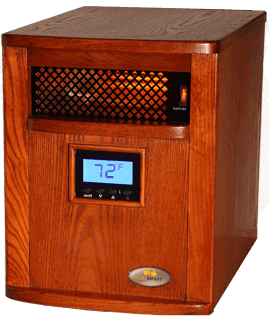 Liberty Infrared Heater $247.00Sold Out!Free Shipping!